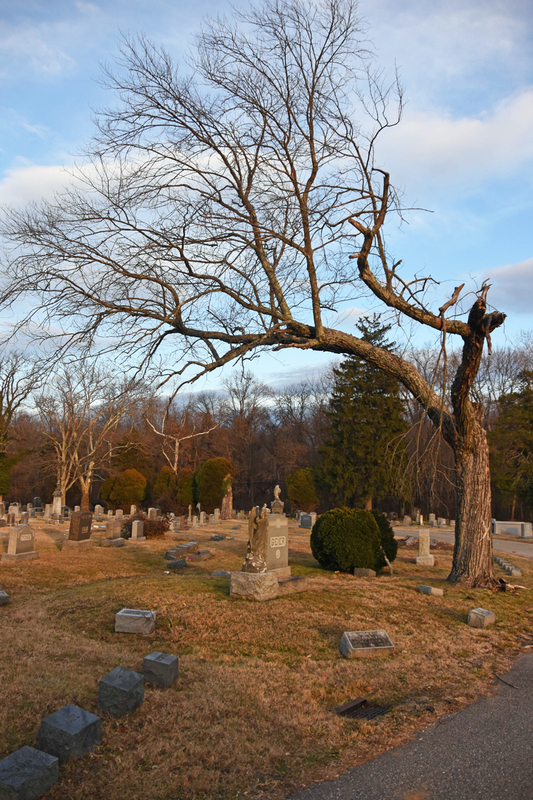 Several of Baltimore’s historic cemeteries, such as Green Mount and Loudon Park, were built on former estates of the city’s well-to-do. 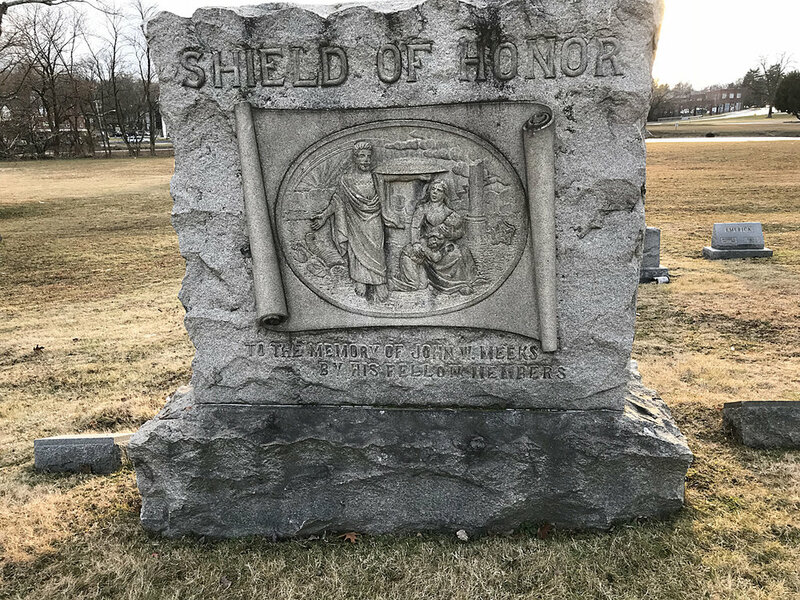 Woodlawn Cemetery, however, was once the site of the Powhatan Cotton Factory (later the Powhatan Manufacturing Company), where hundreds of workers produced cotton duck for sails, storage bags and tents. 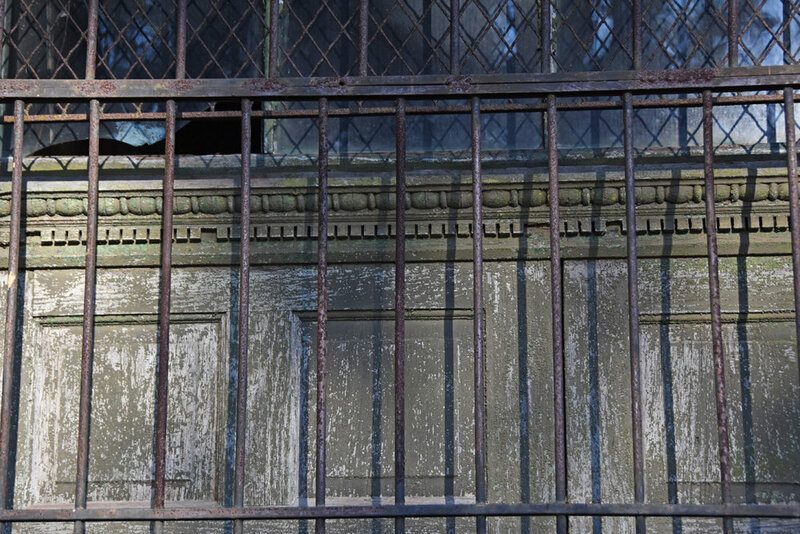 One remaining factory outbuilding still stands on the Woodlawn Cemetery property. 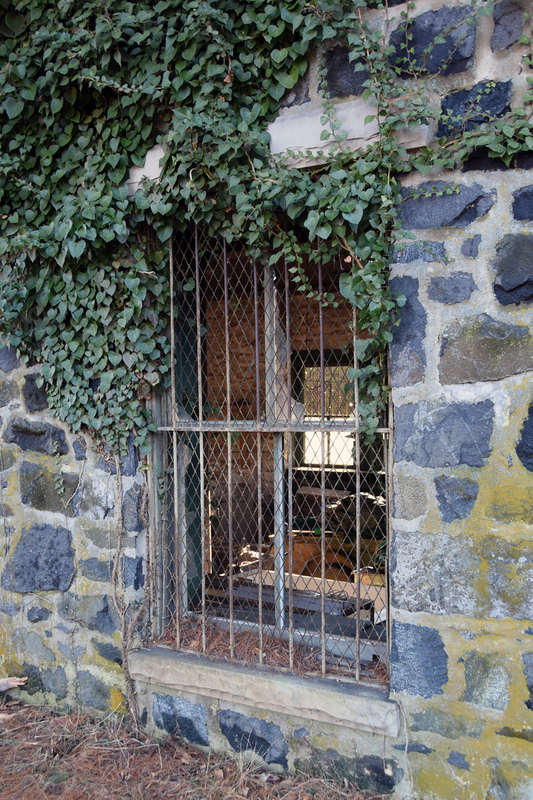 In the early 1800s, Jesse and Enoch Levering spent $200,000 to build a five-story mill along the Gwynns Falls between Windsor Mill Road and Liberty Turnpike. The Powhatan Cotton Mill was only the second textile mill in Baltimore County. Over the next eight decades, business expanded enough to support Pocahantas Mill, a second structure. A surrounding workers’ town evolved as well. By 1881 about 300 people lived in Powhatan. A general store, a post office, a school and the Powhatan Methodist Episcopal Church served their everyday needs. A image of Powhatan Mill and village. Photograph from Baltimore County Public Library archives. Toward the end of the century, production slowed due to the factory’s distance from Baltimore City and from efficient rail lines. Pocahontas Mill closed. An 1895 fire in the Powhatan Mill hastened the company’s end. 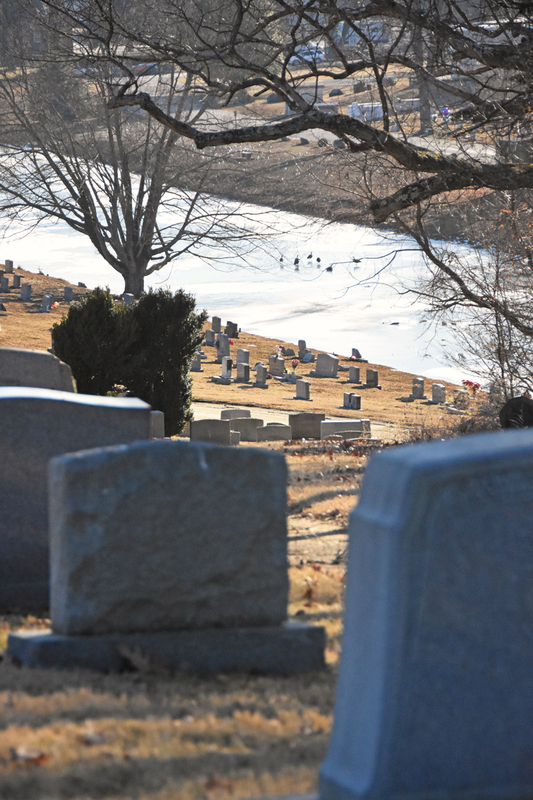 The Woodlawn Cemetery Company purchased the land with plans to turn the former mill town into a prestigious rural cemetery. Though many buildings had already been razed at this point, the Powhatan Methodist Episcopal Church was still in service. 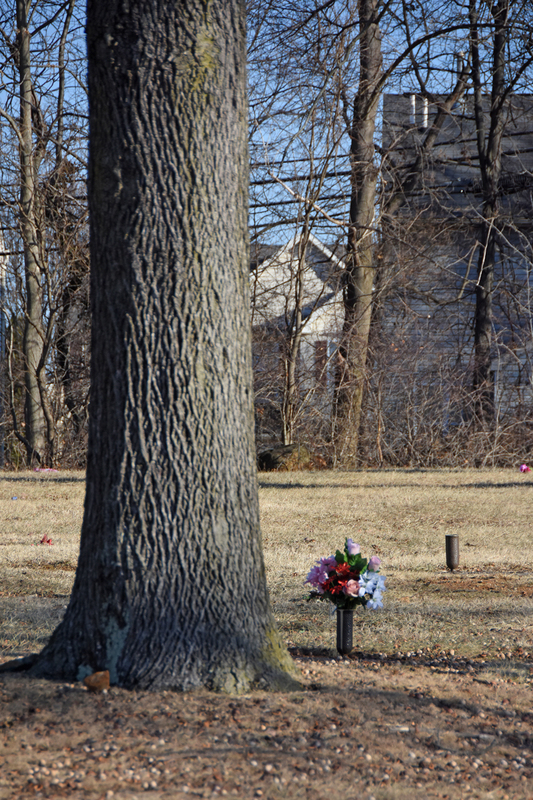 Loyal parishioners devised a way to save the church by moving it to nearby Gwynn Oak Avenue. The only barrier was the ever-flowing Gywnns Falls. Fortunately, the winter of 1902 was cold enough to freeze the river. A group of men with a single mule set out to move the church. They placed it on a platform supported by whiskey barrels and pulled the church ¾ of a mile across the ice to its new location. The old Powhatan church building is still in a portion of today’s St. Luke’s Methodist Episcopal Church complex. 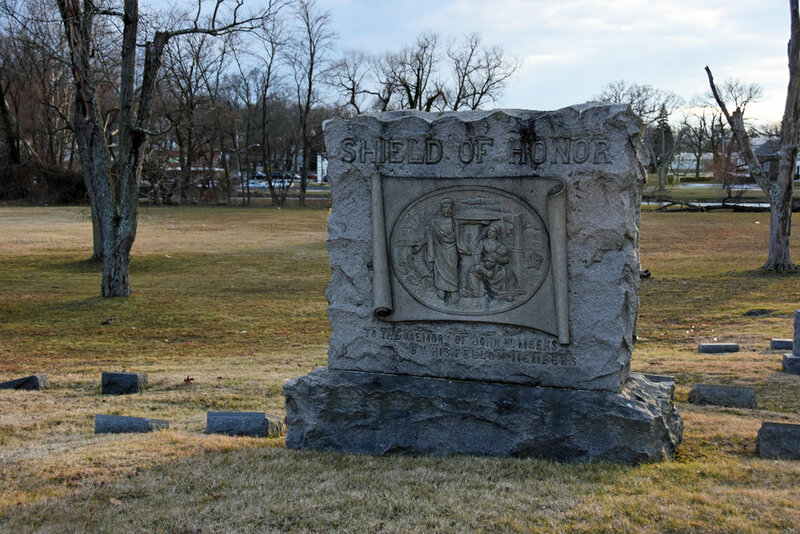 Gravestones from the Powhatan Church cemetery remain in the Wesley section of the Woodlawn Cemetery. Any grave stone dated before 1904 would have belonged to the church. 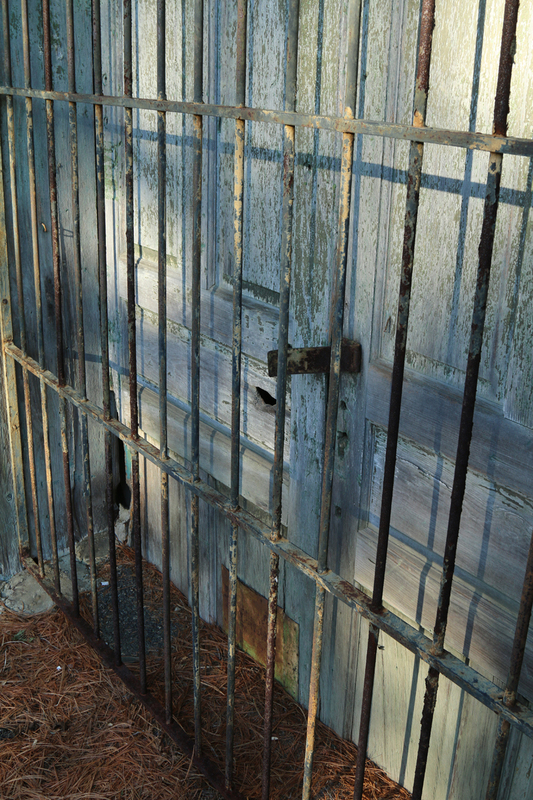 Woodlawn Cemetery still uses the only remaining building from the Powhatan Manufacturing Company as a storage shed. 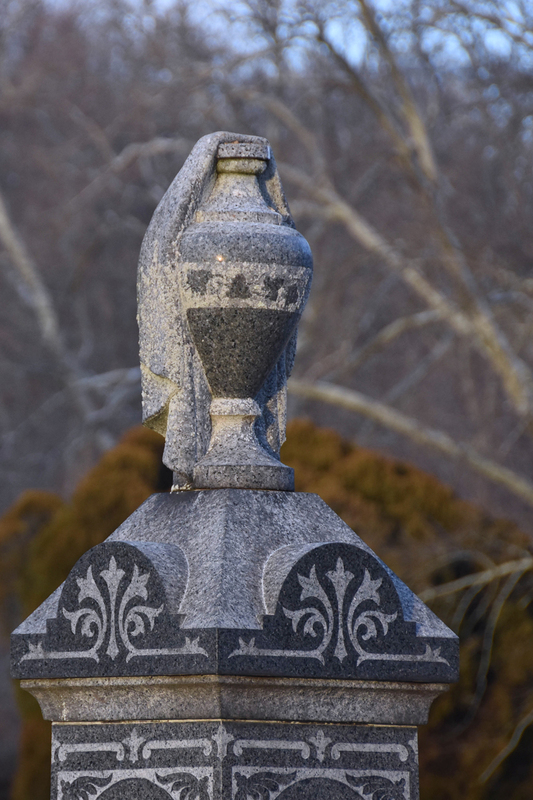 Woodlawn Cemetery’s founders extolled the virtues of their new enterprise. 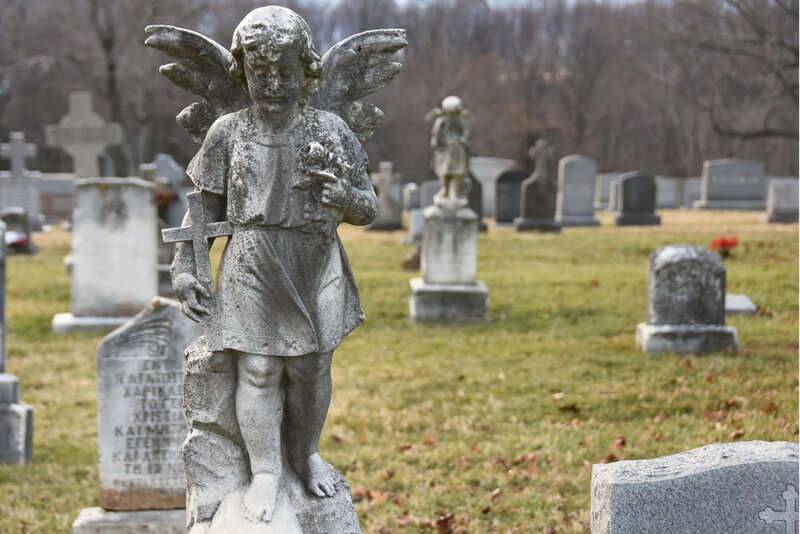 In promotional materials, they noted that Green Mount Cemetery, one of Baltimore's most historic rural resting places, was nearly full and in danger of encroachment from a rapidly expanding city. The owners assured prospective customers of its commitment to maintain every plot, thus moving away from a tradition that placed the burden on families to provide upkeep. Olive Dennis, the second woman to earn an engineering degree from Cornell University and a career service engineer for the B & O Railroad. Dr. Howard Kelly, one of the "Big Four" founders of Johns Hopkins Hospital. Dr. Kelly is credited for creating gynecology as a medical speciality and pioneered many devices and surgical procedures. Howard Rollins, Jr., an actor who studied theater at Towson University. He moved to New York and appeared in many movie, TV and soap opera productions. In 1981, he was nominated for an Oscar for his role as Coalhouse Walker, Jr., in "Ragtime." Walter Scott “Steve” Brodie, a quirky center fielder who entertained himself in the field by reciting Shakespeare soliloquies. He helped the 19th-Century Orioles win three consecutive National League championships. 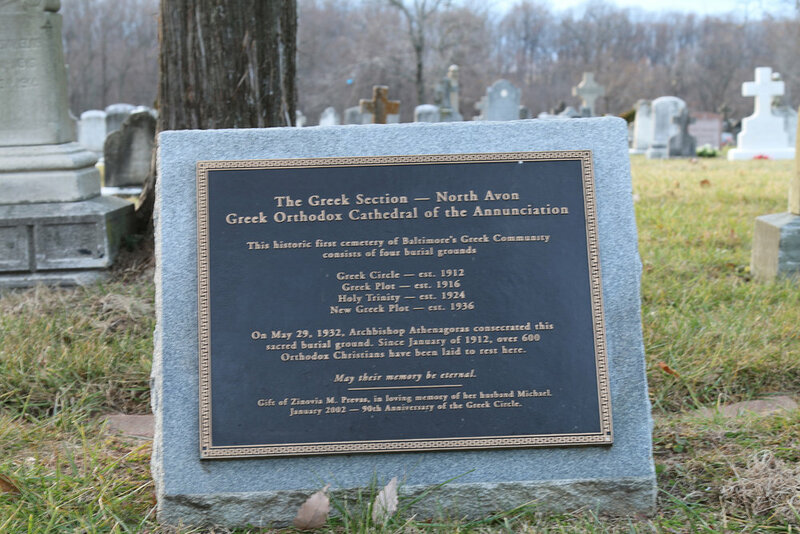 About 600 Orthodox Christians are buried together in the "Greek Section," which is located in the North Avon section. 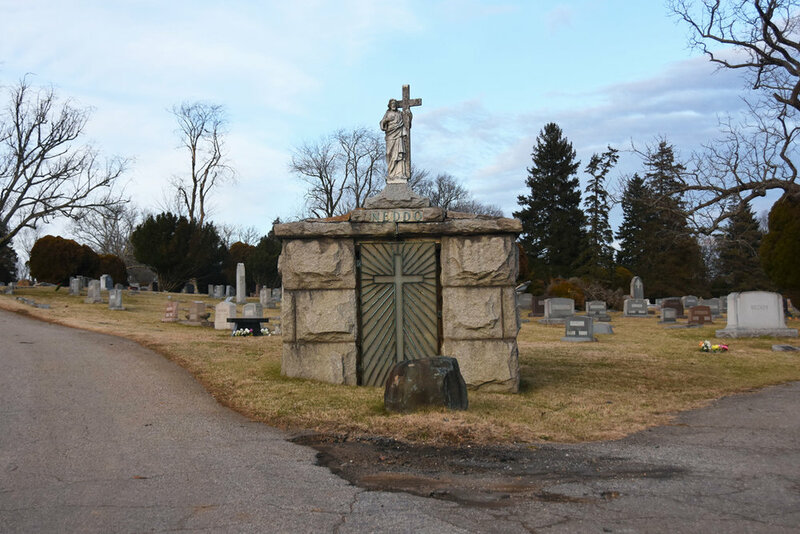 The Annunciation Greek Orthodox Community of Baltimore purchased four large sections at Woodlawn between 1912 and 1940. 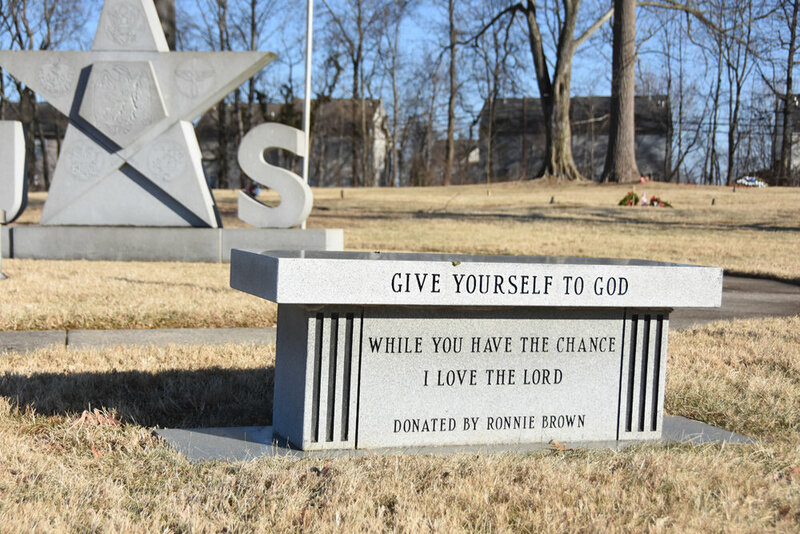 Once they moved to a larger house of worship at Maryland Avenue and Preston Street, they established their own graveyard on a tract of land on Windsor Mill Road, adjacent to the Lorraine Park Cemetery, about a mile from Woodlawn Cemetery.